Both Sun Basket and Green Chef base their meal ideas on the achievements of modern nutrition and dedicate their services to individuals and families that are eager to lead a healthier lifestyle. Since their founding ideas were so similar, it is extremely difficult to choose between the two companies. Our Sun Basket vs. Green Chef comparison is designed to provide you with a detailed overview of all the major benefits offered by both companies but also point out their disadvantages. This can help you define your personal expectations, save a lot of time, and ultimately make the right choice for you and your family. On a weekly basis, Green Chef provides 4-6 meal options for programs included in the 2-Person Plan and 2 meal options for each program included in the Family Plan. Green Chef offers organic meal kits particularly designed for omnivores, carnivores, pescatarians, vegans, vegetarians, Paleo lovers, and home cooks on the keto and gluten-free diets. Its recipes are inspired by various world cuisines, so there is plenty of diversity. The meals are generally ready in half an hour or less. With Sun Basket, you can opt for the Family menu or the Classic menu. The Classic menu allows you to choose between the Vegetarian, Vegan, Mediterranean, Pescatarian, Paleo, Gluten-Free, Chef’s Choice, Diabetic-Friendly, Quick & Easy, Carb-Conscious, and Lean & Clean meal plans. With the Family menu, you can opt for either the Chef’s Choice plan or the Vegetarian plan. Green Chef allows you to choose between the 2-Person plan and the Family plan. The 2-Person plan is divided into 7 meal programs: Balanced Living, Pescatarian, Vegetarian, Plant Powered, Keto, Paleo, and Gluten-Free. With the Family plan, you get to pick either the Carnivore or the Omnivore program. Sun Basket offers 18 delicious meals every week, plus about a dozen add-ons like 5-minute salads, sauces, dips, and veggie snacks. If you opt for the Classic menu, you can order 2, 3 or 4 out of 18 recipes available. With the Family menu, you can order 2, 3 or 4 out of 6 kid-friendly recipes. There is no limit on how many add-ons you can purchase. Green Chef features 4-6 meals per category in the 2-Person plan and allows you to choose 3 recipes per week if you are cooking for 2. In the Family plan, there are 2 meals per category – exactly as many as you get in your order. Both Sun Basket and Green Chef know that in order for a meal to be nutritious, it has to be made with the best of ingredients. With the fresh, organic, and non-GMO ingredients they offer and the carefully balanced dishes they create, you can be sure you are getting just the right amount of valuable nutrients with every meal. When it comes to portions, size really does matter. Luckily, you cannot go wrong, no matter which of these two meal delivery services you pick. Their pre-portioned ingredients come in quantities that are sufficient to keep you full and satisfied. Depending on your appetite, you may even get to save some delicious leftovers for later. Sun Basket and Green Chef both boast incredible flexibility, allowing you to take full control over your subscription. They let you skip or cancel at any time, as long as they have not already started preparing your order. Sun Basket even gives you a full refund if you are not satisfied with the food you received. The prices at Sun Basket and Green Chef are pretty similar, but Sun Basket is slightly more affordable. 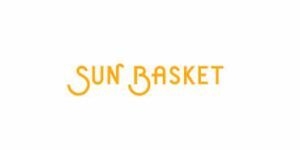 Sun Basket meals cost $10.99-$12.99 per serving with the Classic plan and $10.99 per serving with the Family plan. Shipping costs amount to $6.99 for all orders. You only get free shipping when you order for the first time. The prices of meals at Green Chef vary depending on the category you choose. They range from $9.99 to $12.99 per serving. Shipping costs $6.99 for all orders.